If I replace all parts on my Max V3, is it still a Max V3? Without further ado, I present my printer. First step was to make the FSR mount from mhackney's blog (for those looking for the link, I found it in the comments of his blog post). I printed the DXF to a PDF file on size A2 paper, then using Adobe Acrobat I printed it to a "poster" so I could split it up into multiple letter sized pages. Then I just taped them together and cut it out. Then I taped that paper to a piece of plywood and cut it out with a skill saw. This shows the FSR mounted to the printer - it has an adhesive backing, as does the silicone pad. Last edited by tjschweizer on Fri Mar 10, 2017 10:12 am, edited 2 times in total. I'm doing all the same upgrades(duet wifi, FSR w/plate, E3D hot end). Question, The wiring from the hot end to the duet board, is it connected directly or did you need to install an other board on top the hot end or adapter, like the old hot end (HE280)? Looks just like mine, with no board. 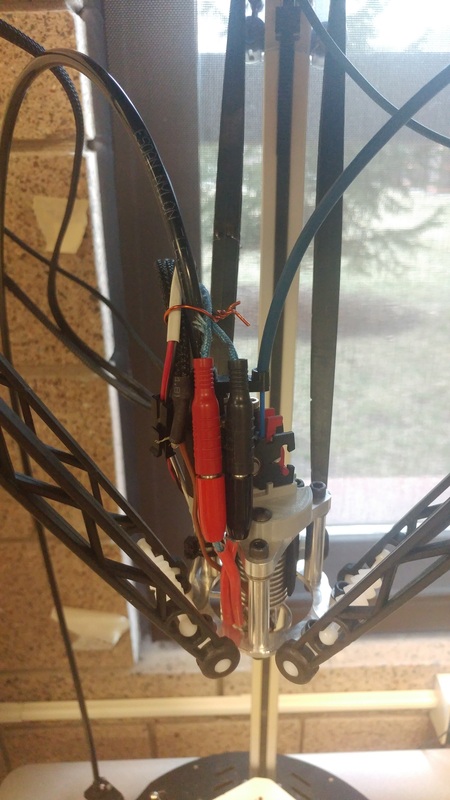 Question 2, Are you adding cooling fans on your hotend? I did not reuse the HE280 PCB nor did I get a new one. At the time of this picture, I had everything directly wired to the Duet.